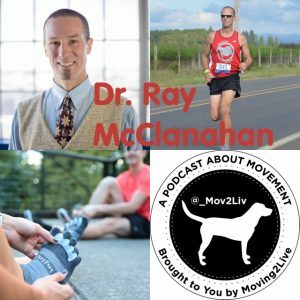 Dr. Ray McClanahan is a sports podiatrist; founder and physician of Northwest Foot & Ankle in Portland, Oregon; and inventor of Correct Toes. He’s a former elite cross-country racer and a regular participant in various running events throughout the Pacific Northwest. Dr. McClanahan’s professional goal is to provide quality natural foot health services with an emphasis on sports medicine, preventative and conservative options, as well as education on proper footwear. 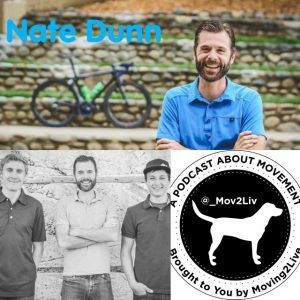 Nate Dunn’s entire career has been spent in education and coaching. As a former teacher and now full-time cycling coach, he is most excited about blending the art and science of coaching to better support the goals of cyclists. 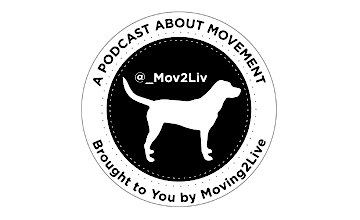 Check out the Moving2Live Podcast episodes featuring Sam Wood, PT, DPT, OCS, CSCS, released 9/27/17 and 10/11/17. 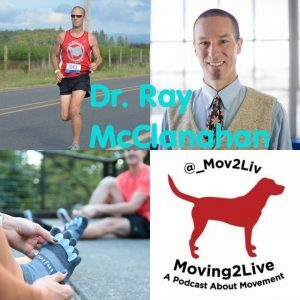 Check out the Moving2Live Podcast episodes featuring Daniel Caulfield, released 9/11/18 and 9/26/18. Brett Jones is a Certified Athletic Trainer and Strength and Conditioning Specialist based in Pittsburgh, PA. Mr. Jones holds a Bachelor of Science in Sports Medicine from High Point University, a Master of Science in Rehabilitative Sciences from Clarion University of Pennsylvania, and is a Certified Strength & Conditioning Specialist (CSCS) from the National Strength and Conditioning Association (NSCA). 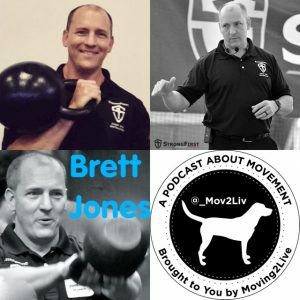 Brett is currently the Director of Education for StrongFirst and presenter and advisory board member for Functional Movement Systems. Pavel Tsatsouline, Founder and Chairman of StrongFirst, Inc.